Market Authority, Inc. (MA) is the world's authority on the question of how American consumers search for a local business. After completing nearly 200,000 interviews in over 250 U.S cities in the last 12 months, MA shares the absolute and surprising statistical TRUTH in the "Game Changer" training session. Be empowered to make every advertising dollar count as an advertiser and learn how to target your ideal customer… increasing sales in the process… by attending "The Game Changer" training session on November 2, 2011 in Chicago, IL. Be empowered to make every directional advertising dollar profitable in todays America. Learn to exploit the great (and hidden) reality of Directional Media in 2011 by attending "The Game Changer" training session on November 2, 2011 in Chicago, IL. Over the last year, Market Authority, Inc. has trained over 3,000 people across the United States on how to take advantage of today’s often obscure local search environment. Advertisers need to be informed on how the yellow pages and online advertising industry is shifting to maintain the highest return on their investment. The Game Changer sales training session will give an unbiased look at how America searches for local businesses in today's environment. 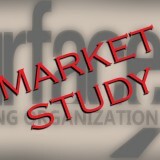 Participants will also receive Market Authority's Market Study Results for several markets as well as National Market Study Results. Participants will be trained on how to apply it to everyday advertising decisions which will empower advertisers with concrete, irrefutable information when making their print and online buying decisions. Centrally located in Chicago, The Game Changer training session will be held on Wednesday, November 2, 2011 at the Chicago O'Hare airport Hyatt Regency O’Hare Hotel from 9 am to 1 pm. Empower your advertising decisions with Market Authority’s irrefutable research on yellow pages and Internet usage. Make every advertising dollar count, target the ideal customer, and increase revenue! Register today to increase your sales with "The Game Changer" training session for only $645.00 ($50 savings) if registered by August 12, 2011. To register for Marketing Authority's "The Game Changer" session, contact Megan Hartwig, DMI at 816-537-7950. Market Authority, Inc. was founded in 2009 by Steve Sitton who has worked and trained in the directional media industry for the last 25 years. With that experience as the foundation, Market Authority, Inc. provides profound third-party research on behavioral, demographic, technological, and directional media usage patterns throughout the United States. All of Market Authority's practices are strictly aligned with the codes and standards expressed by ESOMAR and the American Marketing Association.